Whether you’ve invested dozens of hours into it, or are just an outsider looking in, there’s one thing that everyone can agree upon about Persona 5: the wicked dope style that permeates every ounce of the game. 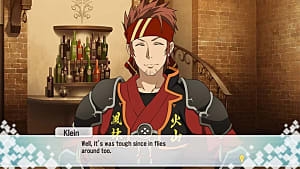 Seriously, everything from the sharp fashion sense to the sleek character design gives the JRPG this sweet sense of flair that can vibe with just about any young adult demographic. 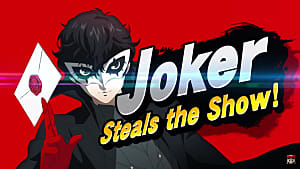 It's like Joker and the crew are the type of people you could only hope to be cool enough to be seen with, let alone to actually hang out with. 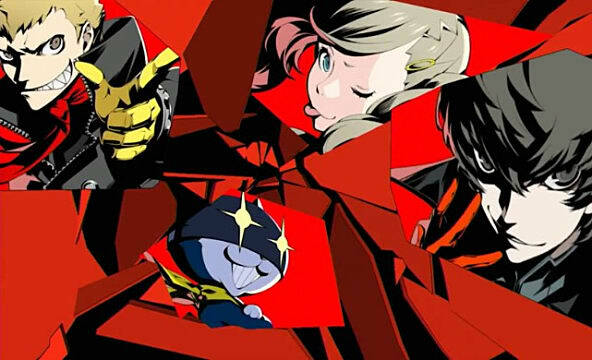 The presentation behind the dungeon-crawling tale of youthful rebellion is rife with memorable wardrobe and swag, and anyone who spends more than an hour with the game will be sure to fantasize about owning their own Persona 5-flavored gear in real life. 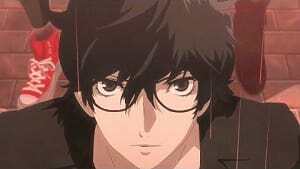 So with that being said, here are three items from the new Atlus RPG that we wish we could own beyond the screen. Ryuji Sakamoto will speak to anyone who finds himself or herself subscribed to more T-Shirt distributors than they can count on one hand. 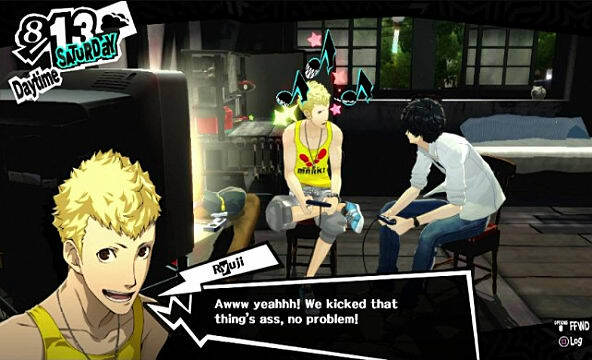 The raucous troublemaker of the group, Ryuji will wear a variety of shirts with a sense of style that’s just loud as he is, conveying an edgy snark that’s just trendy enough to be fashionable on just about anyone, plaid pants or not. From his trademark ZOMG shirt to his summer red apparel that sports a very bold statement about the establishment, every top that this dude sports is one that we all secretly wish to see on the front page Tee-Fury or RIPT one day. We'd also have absolutely no shame in shelling out the twenty-some-odd space bucks to nab 'em, either. Luckily, if you found yourself thinking the same thing, the anime hobbyist vendor known as Amiami opened up a preorder for the “No’mo Rules” shirt on their site. Pre-orders are currently closed at this time, but you can still add yourself to the wish list in hopes that there will be more product so that they can take additional reservations in the future. Another intriguing character among the ranks of the Phantom Thieves of Hearts is Yusuke Kitagawa, an art student who begins to take an interest in one of your friends, Ann, to model for a project he’s been workshopping. Before you recruit the artist into your fold, you’ll get the opportunity to learn about him and the content he creates at a special exhibit at the local museum, where he's showcasing his work. There’s one painting in particular, though, that’ll enrapture anyone with an eye for art. Aptly titled “Desire,” the piece displays a granular composition of soft earthy colors that’re juxtaposed against the varied palate of darker colors, arranged within a spiral gradation that’s garnished with red splats to balance it all out. 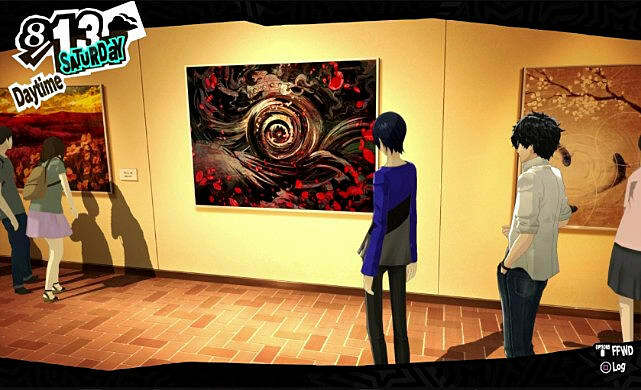 The canvas is used as a plot device to develop the depth of Yusuke’s darker side, but it also stands as an incredible work of modern art in its own right, and should be available as a print to anyone who’s looking to add some taste to their living room wall. Sadly, we have yet to see someone fill that void with a listing on their etsy page, but hey, only time will tell right? Where Final Fantasy has its Moogle, Shin Megami Tensei and Persona have Jack Frost, the sadistic, yet undeniably adorable Ice Demon who played the role of mascot for Atlus during the publisher’s early years. 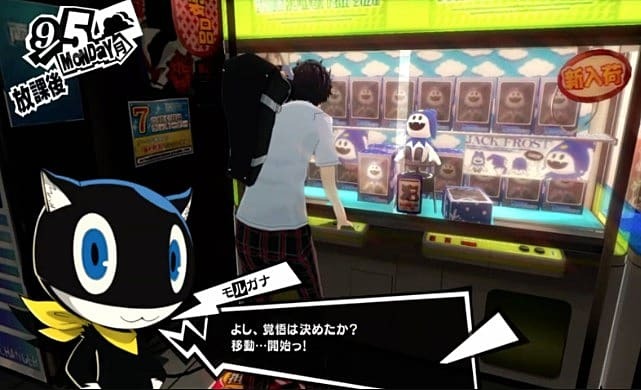 The murderous little snowman has made dozens of appearances in the SMT line of games (he’s even had his own game on the ill-fated Virtual Boy) and Persona 5 is no exception; you’ll be able to see Jack in the form of a plush available in the crane game at the local arcade. The difficulty of the prize game will vary upon your luck stat, and can even prove to be a difficult task for players who have that attribute maxed out. The effort to get the stuffed toy is bittersweet whether you manage to win one or not because it’ll just leave you with the desire to actually own a real life version of the toy. 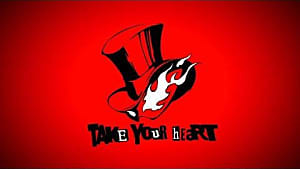 Now as it would happen, Atlus has already released a stuffed toy of the iconic monster, but like anything else, they did so in short supply, making the thing an expensive collector’s item. So maybe you might be better off going with the much more affordable Nendoroid figure instead. 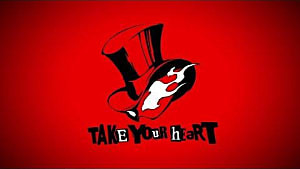 If selling over a million copies within less than a month and leaked trademarks for the Persona 5 brand are any indication of the sequel’s future, then it’s safe to say that we’ll be seeing plenty more of the Phantom Thieves of Hearts. 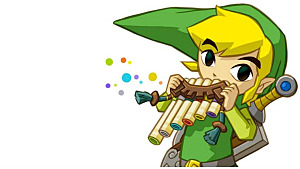 Hopefully, it’ll mean that we’ll be able to get a merchandise catalog that’ll offer these goodies and more for those of us who can’t get enough of the new stylish JRPG. 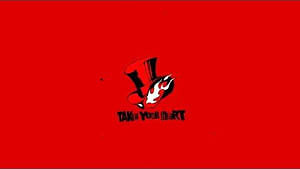 What other items from Persona 5 would you like to get your hands on in real life? Let us know in the comments below.